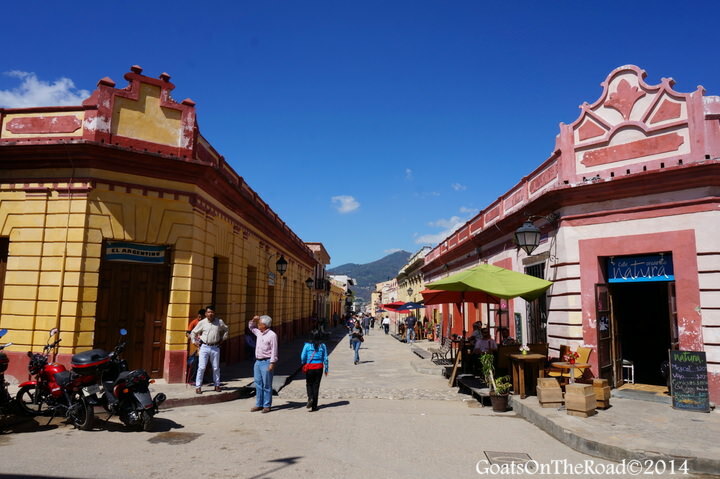 Since we will be taking a three-month trip to do need greater work in Mexico this summer I wanted to document some of the sights in the cities along our route to Valladolid. Our bodies slid from left to right, from one side of our seat to the other, as our bus driver took the seemingly endless hair-pin turns at full speed. Trying to fight off the inevitable nausea and motion sickness was the ultimate goal of this 5 hour journey from Palenque to San Cristobal de las Casas (San Cristobal), which took us from a mere 60m to an altitude of 2,200m and into the mountainous, rugged hills of the Chiapas State. With each ascending, winding turn, the scenery changed and so did the climate. The tropical air, palm trees and thick humidity soon dissipated and we embraced the cool air and familiar pine trees. 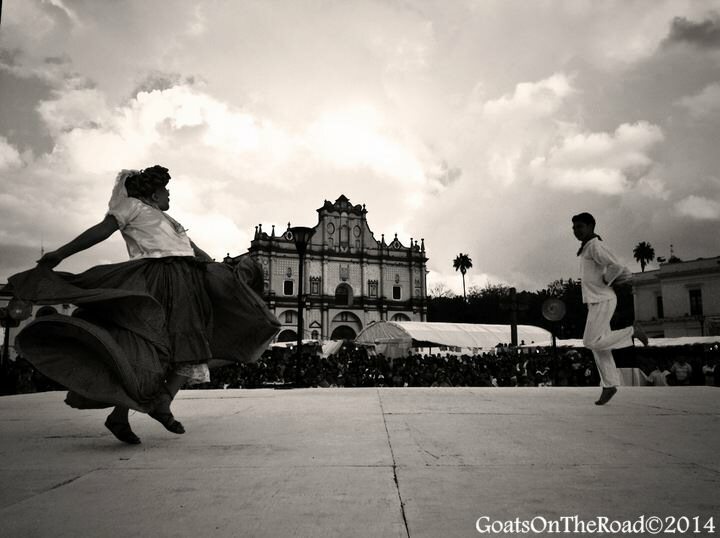 San Cristobal is located in Chiapas, the Southernmost State of Mexico. 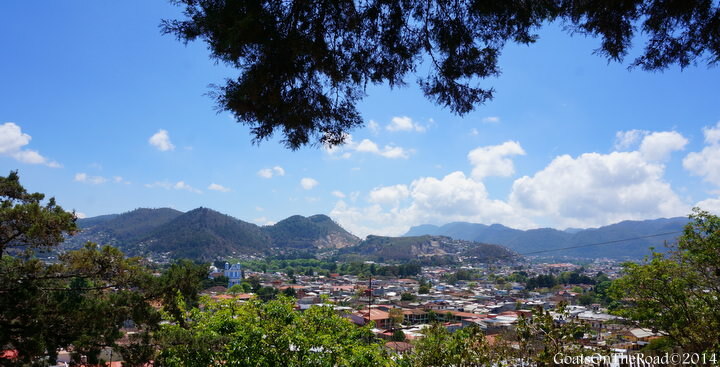 Set in a small valley surrounded by pine-forest highlands, this charming colonial city is the perfect place for exploring. 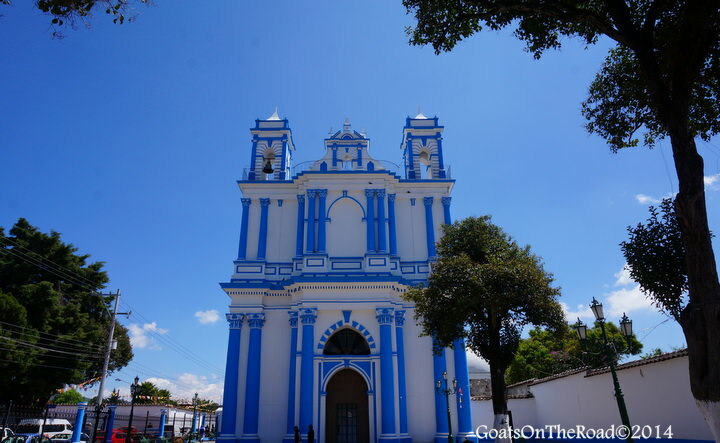 This State has the second largest indigenous population in the country and surrounding San Cristobal are dozens of Tzotzil and Tzeltal villages, just a short bus ride away. With many pedestrian-only streets, narrow cobblestone lanes and numerous towering churches and cathedrals, this is a great place to stay a while. The first thing we noticed when arriving in the city were the mountains. We had become so accustomed to the flat terrain of the Yucatan area, so it was a breath of fresh air (literally) to be surrounded by such wild nature. 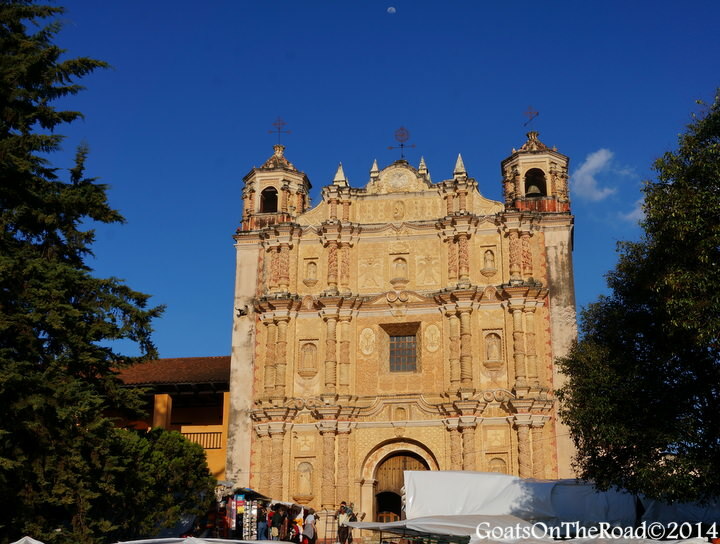 We had read about the San Cristobal Church and the Guadalupe Church, each set at opposite ends of the city and were really looking forward to visiting them. The only catch was that we had to hike up many uneven steps to reach these sights. 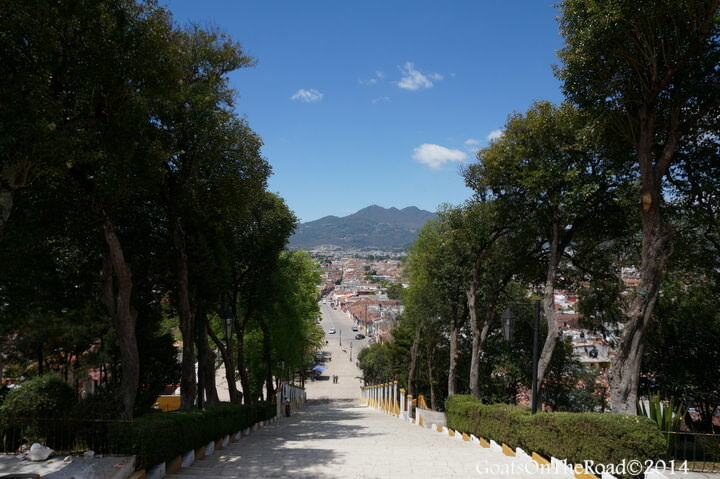 We made our way slowly up the steep rock-cut stairs, taking our time not only to rest, but to enjoy the unbelievable views over the city down below and the surrounding mountains. 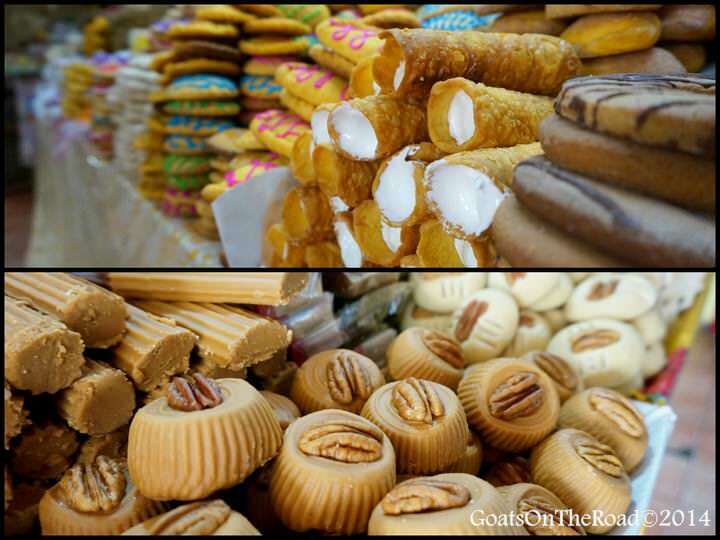 One of the things that we really enjoy when travelling is visiting the local markets. The hustle and bustle of the vendors setting up their goods, people bartering for products and the overall vibe makes for an authentic and exciting experience. 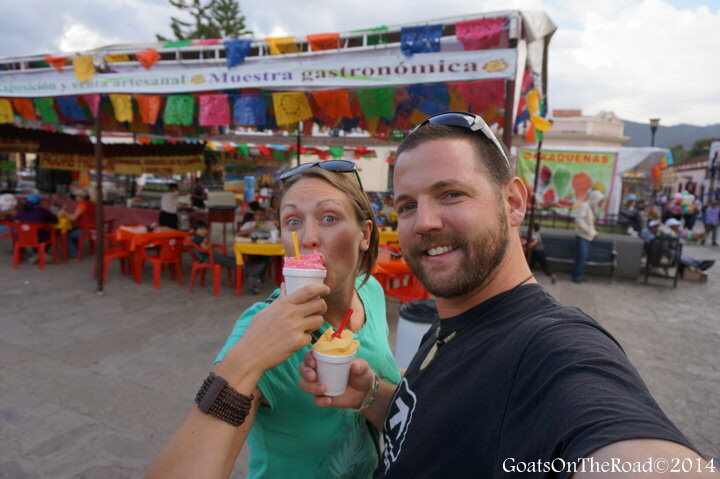 We explored the Municipal Market not only for pure enjoyment, but also with a purpose. We were on a mission to purchase local produce for dinner. We browsed, sniffed and felt the fresh fruits and vegetables before deciding on some we liked. 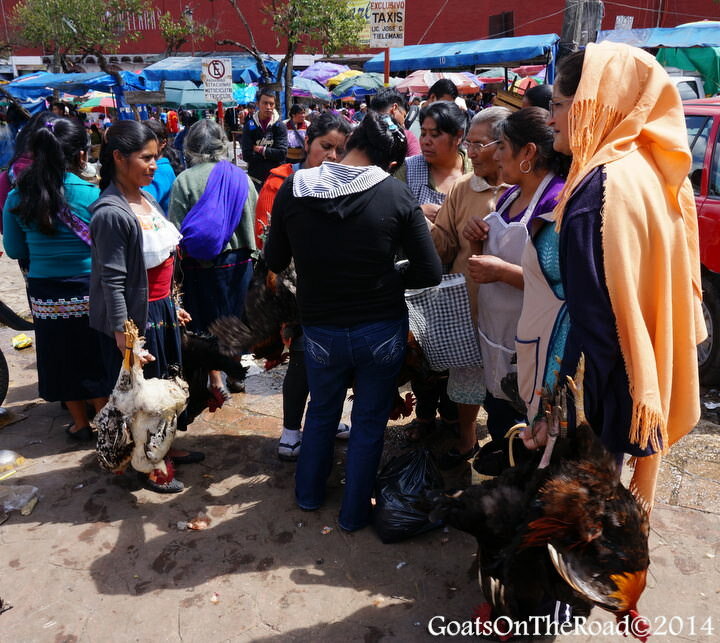 The market was hectic, loud and a lot of fun to visit. As far as natural resources are concerned, Chiapas is the richest State in Mexico, yet economically it is the poorest. An astonishing 70% of people live below the poverty line. There is an embarrassing lack of resources for the inhabitants here (mainly the peasants, farmers and indigenous people). According to Wikipedia and the Edinburgh Chiapas Solidarity Group, 18 out of every 100 people 15 years or older cannot read or write. Only 38% of homes have clean drinking water, 15% have drainage systems and less than 30% have access to electricity or gas.